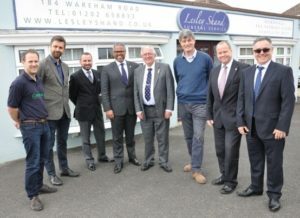 Long-standing Lesley Shand, funeral directors in Corfe Mullen, are being brought up to date with the renovation of its premises. The business has been helping the bereaved with funeral services since 1988. It is part of Douch Family Funeral Directors in Dorset that has more than 100 years’ experience. During the building process the business will continue to operate from premises on the other side of the road in the former cake shop. Work is due to begin in June with completion set for January 2018. The new building will provide larger and better offices for the staff. There will be more space for clients and will have better access. It will include all the specialist areas required in a modern funeral directors’ business and in addition there will be a reflection room. Nick Douch, Managing Director of the funeral group that has eight branches in the county, said: “The work is necessary because of the changing needs and expectations of our clients. “It will be more welcoming and is part of an on-going programme of improvements across the group. 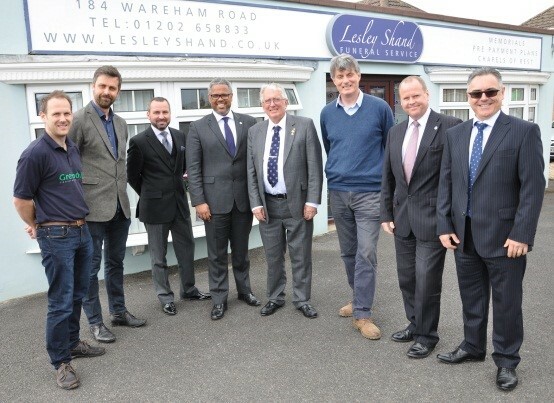 “The Lesley Shand business is very well known locally and we want to assure clients that our high service standards will continue. Lesley Shand opened the business in 1990 and it later became part of the Douch family group. Greendale Construction will carry out the work, with designs drawn up by Sean Daly and Mark Senior of DMWA Architects. The building consultant is Dario Di-Felice from Building Options Ltd.